The United States currently incarcerates a higher share of its population than any other country in the world. We calculate that a reduction in incarceration rates just to the level we had in 1993 (which was already high by historical standards) would lower correctional expenditures by $16.9 billion per year, with the large majority of these savings accruing to financially squeezed state and local governments. As a group, state governments could save $7.6 billion, while local governments could save $7.2 billion. These cost savings could be realized through a reduction by one-half in the incarceration rate of exclusively non-violent offenders, who now make up over 60 percent of the prison and jail population. 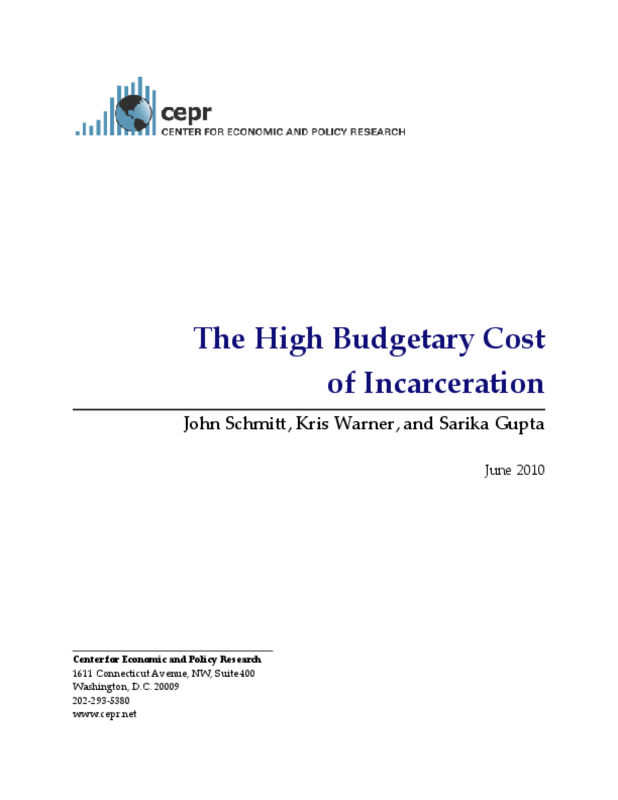 A review of the extensive research on incarceration and crime suggests that these savings could be achieved without any appreciable deterioration in public safety.